Over the past week I have been SO busy with my dissertation it is unreal!! My life is becoming a routine of read, analyse, write, repeat! This is the reason my blog and twitter have been a bit quiet recently, but now I have the time to blog and this week I am going to try and do a post everyday to make up for last week (hopefully!). 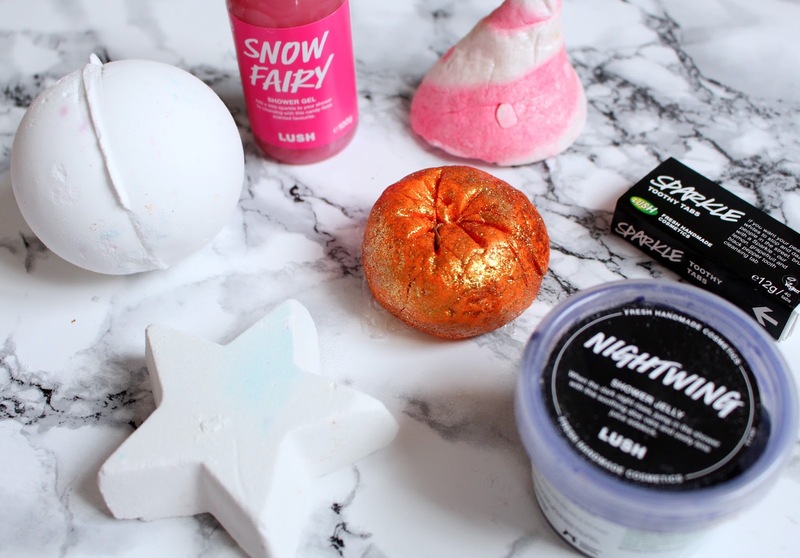 We start the week with one of my favourite types of posts EVER, I will always make time to read a post about Lush because I bloody love it! Seasons changing can only bring about one thing, NEW LUSH COLLECTIONS! The obvious being Halloween as it is just around the corner and the Christmas collection were released a little while back and I finally got my hands on some of the goodies. 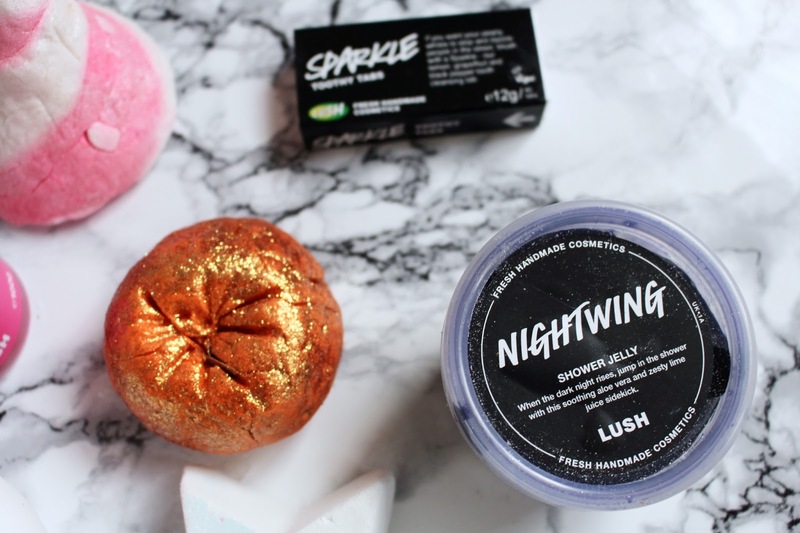 From the Halloween range I got the Nightwing shower jelly and the Sparkly Pumpkin bubble bar. Firstly Nightwing smells like a bag of Skittles or a tube of Fruit Pastilles and if they could make this all year round I would be the happiest person alive! This product is a shower jelly in the shape of a bat and I am so excited to try it as one, the smell is literally incredible (think lime and blackcurrant) and two, it is my first shower jelly and they just look so fun! 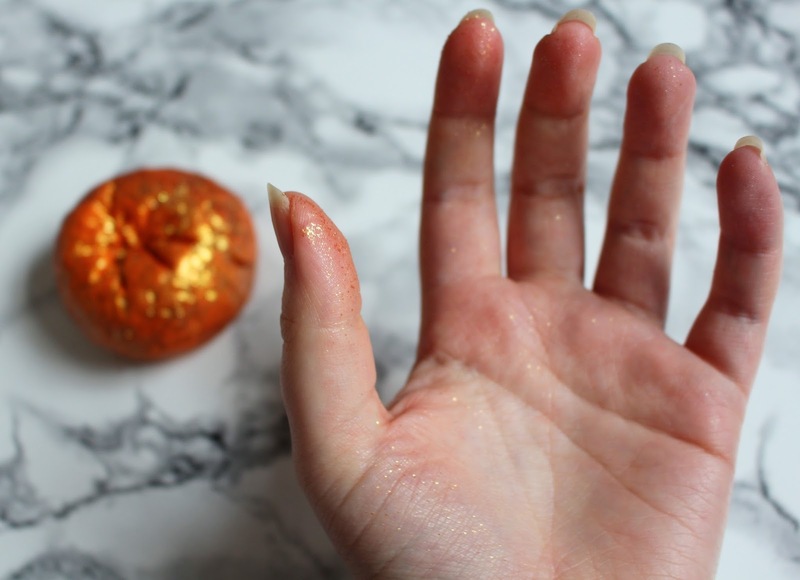 Then we move on to the Sparkly Pumpkin bubble bar and what can I say, well first off they aren't lying when they say sparkly! After touching this for about 2 seconds my hands were COVERED in glitter and so was my floor and my camera and my clothes haha I'm so excited to try this! Oh also it doesn't smell like pumpkins so don't buy it thinking it does!! From the Christmas collection I chose Star Dust, So White, Candy Mountain and Snow Fairy. 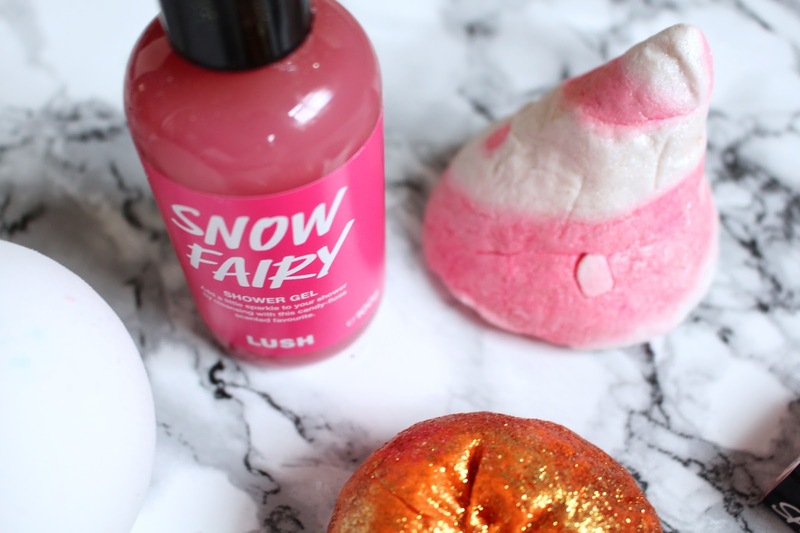 Starting with an old favourite the Snow Fairy shower gel, I literally live for this scent! I know loads of people don't like it as it is very sweet but I adore the bubblegum sugar smell and this is a staple for me in the winter. The Candy Mountain (please tell me I'm not the only person who says that like they do in Charlie the unicorn haha!) bubble bar smells of Snow Fairy as well so I'm super excited to try it. Then the 2 bath bombs I got were So White and Star Dust. 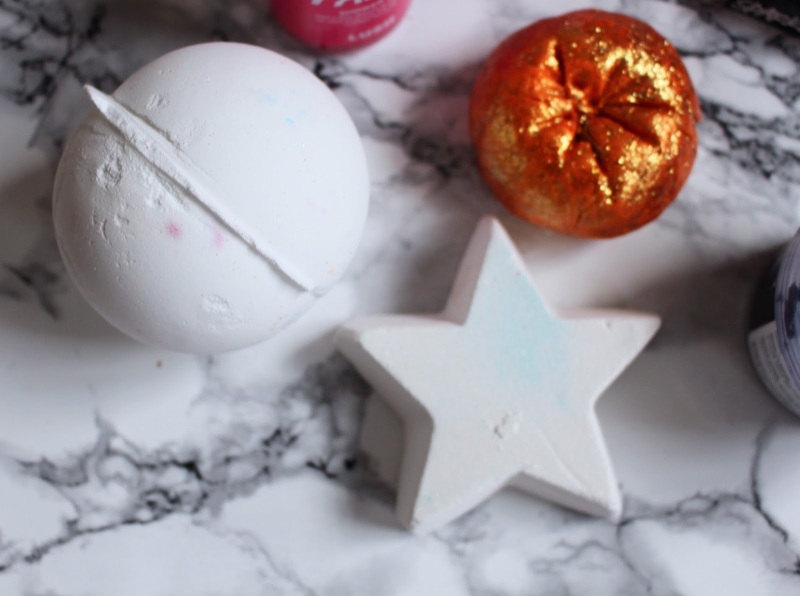 So White smells like apples and is super fruity and Star Dust smells like Rosewood and vanilla which is very comforting and also when you put it in the bath inside the bath bomb are tiny little stars!!! 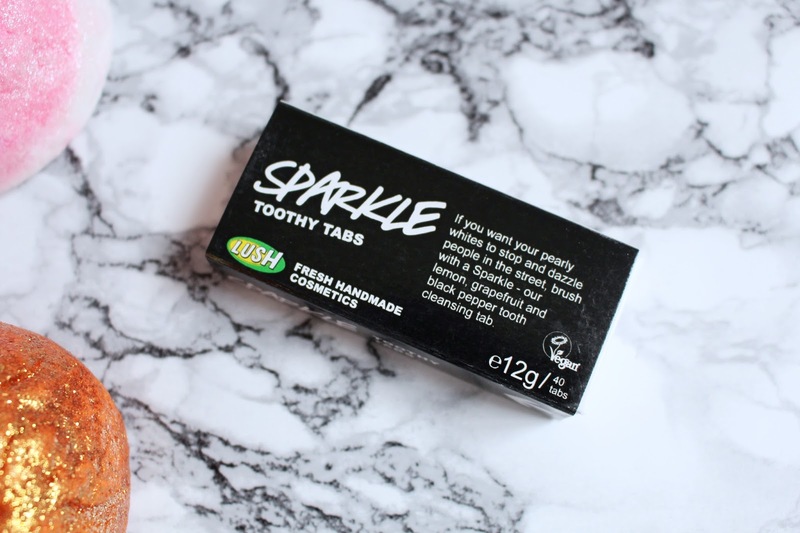 I also picked up some Sparkle Toothy Tabs as I have wanted to try them for ages but never actually thought to buy them, hopefully they will make my teeth nice and well sparkly! Have you tried any of these products? What are your favourites from the 2 collections? Great post! :) i LOVE candy mountain and snow fairy!